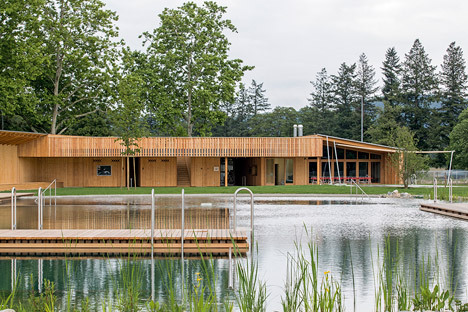 Herzog & de Meuron creates natural swimming pool in Switzerland. This entry was written by hal and posted on 2014-07-18 at 02:30 and filed under Photo. Bookmark the permalink. Follow any comments here with the RSS feed for this post. Post a comment or leave a trackback: Trackback URL.